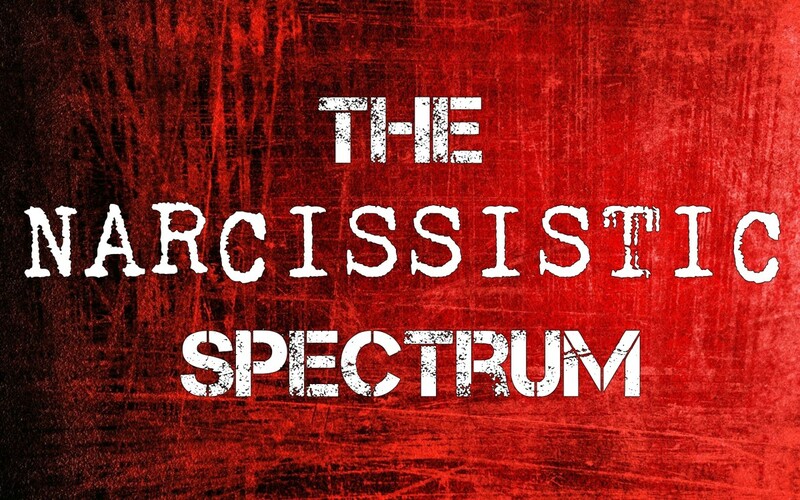 Narcissism as it affects people is a spectrum. 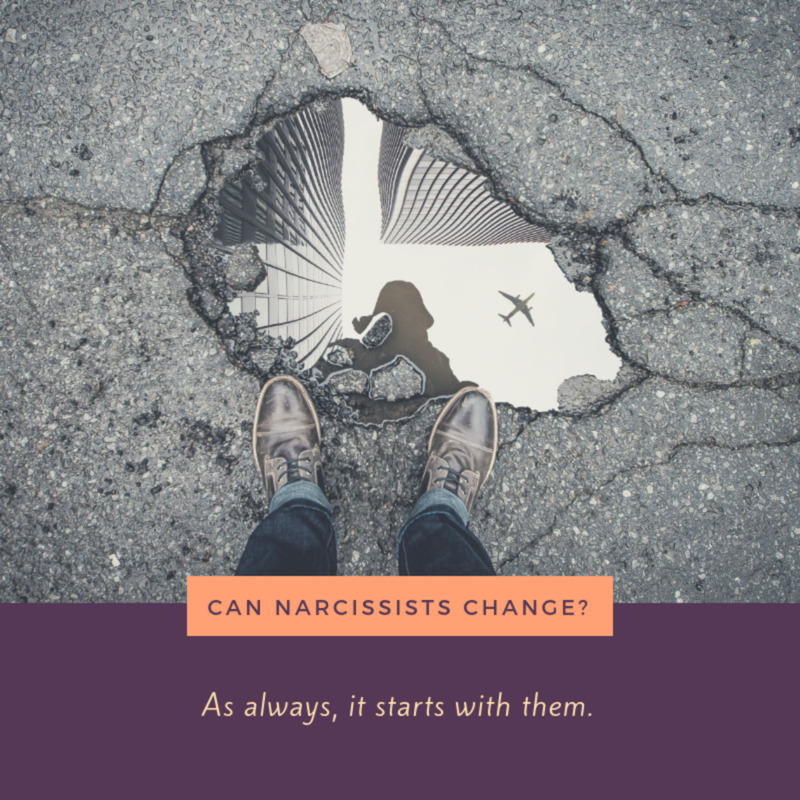 That means there is a huge grey area of what narcissistic traits and behaviors a person can have and how these affect their lives. It starts out on one end with balanced self-focus, or what we sometimes hear called "healthy narcissism," which would be things like balanced, realistic self-esteem, assertiveness and other helpful attributes. The further down the spectrum it goes, though, the less helpful and the more detrimental these things become. Realistic self-esteem becomes arrogance, or it becomes insecurity. Assertiveness becomes aggressiveness, or it becomes capitulation. The further down the spectrum a person is, the more focus on the self there will be, and therefore the greater the inability to distinguish the self from the external world around it. The more focus on the self there is, the more destructive and damaging the personality traits and behaviors are. Narcissism as a thing is just a symptom, so to speak. It's a pathology that can exist in anyone, not just someone diagnosed with Narcissistic Personality Disorder, or one of the other cluster B personality disorders. 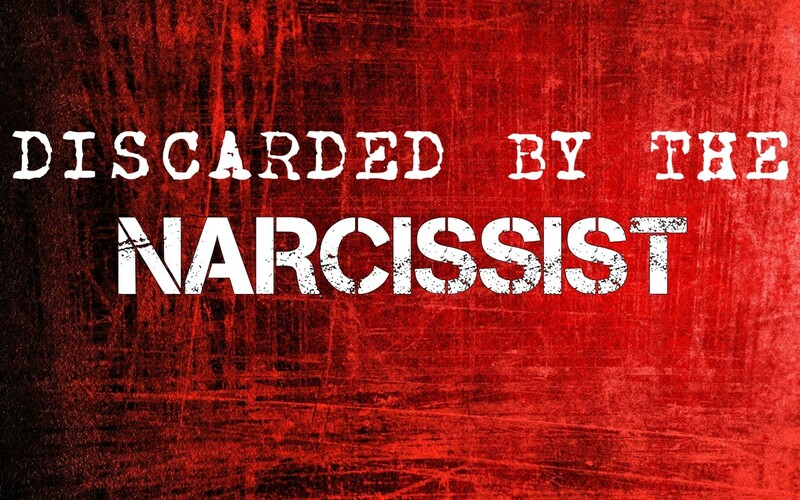 However, at a certain level, narcissism becomes pathological, even malignant. This is why it's possible for people to have narcissistic traits but not be pathologically narcissistic. A person can be egotistical, for instance, and sure they are right to the point of argument, but if you can prove them wrong or show them facts that contradict their belief, they will accept those facts. They will accept that they are wrong and change their belief. Their narcissistic traits are strong, but they are not too rigid and inflexible to adapt to the situation. What we see in pathological narcissism is the inability to adapt. We see the inability to accept input from the external world and use it to moderate their own feelings and beliefs. They actually do the opposite of that; they believe feelings are facts, so their feelings and beliefs moderate and modify their perception of the external world until everything agrees with how they feel, rather than simply seeing and accepting reality for what it is. This is why they cannot seem to accept that they are wrong, even when demonstrably proven so. Their narcissistic traits are too inflexible to be able to adapt to the situation. This is usually tied in with their perception and/or whichever disorder they may have. 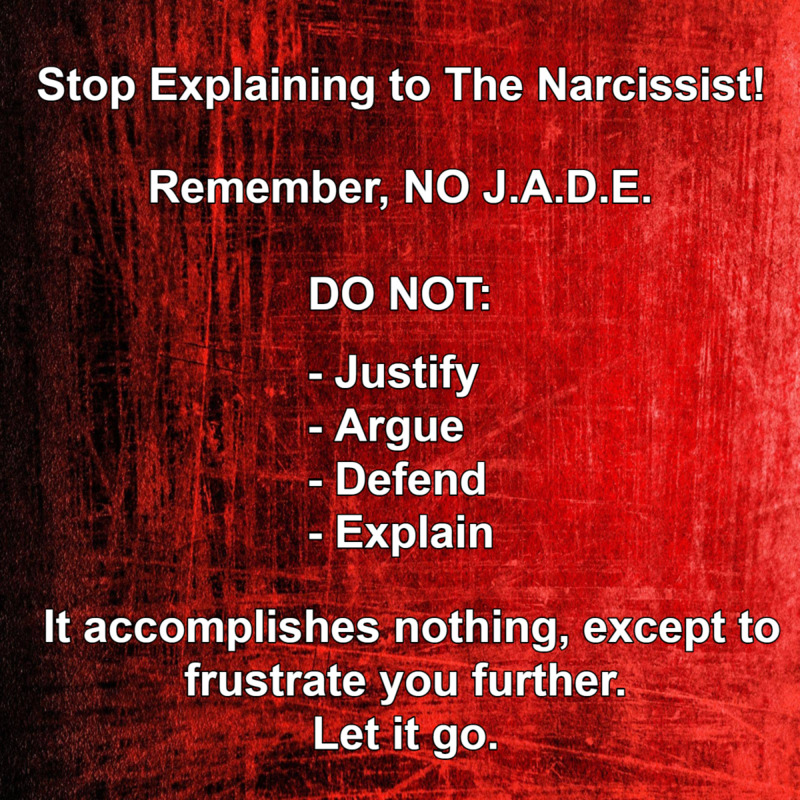 The perception of pathologically narcissistic people is too clouded to be able to understand that there is a problem with the way they are behaving or the conclusions that they are coming to. Narcissism has become not just a trait for them but their entire way of being. Preservation of the self and fulfillment of need becomes the obsessive focus of the entire personality. This is not considered ordered or healthy functioning because it impairs the person's perception, their ability to relate to others and their ability to function in general. They are, in a very real way, unable to see past their narcissism. This is when we call someone a narcissist. This is also often - but not always - when people are diagnosed with a personality disorder. All of the cluster b personality disorders fall on the pathological end of the narcissistic spectrum. This means that with all cluster b personality disordered individuals, the level of narcissism is disproportionately high. It's toxic, destructive and obsessive. 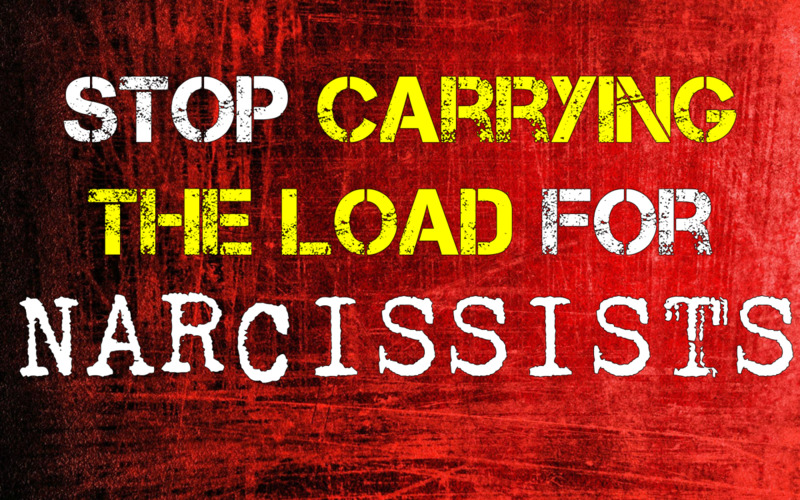 The narcissistic traits displayed by these people are rigid, inflexible and detrimental to their general functioning. The cluster b personality disorders are Histrionic, Borderline, Narcissistic and Antisocial. There are generally different levels of narcissism involved in each disorder. For example, the level of narcissism you see in a person with Histrionic Personality Disorder is usually not the same as the level of narcissism you would see in a person with Antisocial Personality Disorder. There is some overlap with these though, and it is not uncommon for a person to be diagnosed with more than one cluster B personality disorder. For example, we often see people diagnosed with Borderline Personality Disorder and Narcissistic Personality Disorder, or BPD, NPD and APD. The most common comorbid condition - besides substance abuse - with a cluster b personality disorder is another cluster b personality disorder. This means that people with cluster b personality disorders are pathologically narcissistic. Their focus on themselves is so disproportionate, so obsessive and so toxic that it literally affects their way their brain works. So why does this happen? There can be many factors. When a child is abused, for example, their brain reacts to this defensively. The child's needs are not being fulfilled, so (among other things) they begin to focus on themselves in self-defense. "If I cannot rely on my family to fulfill my needs, I will have to do it myself." Over time, and since abuse usually continues over years, this turns into inflexible, pathological focus on the self and their own needs. While many of them likely had the capacity for empathy at one point, they are unable to develop empathy or learn to care about other people because they are too focused on surviving. Unfortunately, the things that need to happen with children's development so that they learn to fulfill their own needs does not seem to happen with narcissists, probably because they are never able to recover from the abuse since it never stops. They can never process things and heal or move on. They become stuck in a loop of defending themselves and trying to survive, and they are unable to progress in their development past a certain point. They use immature "emergency" type of defense mechanisms and coping strategies to deal with things in between incidents of abuse - such as creating a false self that is all-powerful and immune to abuse (as with NPD), or a victim persona that endlessly seeks sympathy (as with HPD) -- and this becomes the only way they know how to deal with anything. This is why we still see these same childish coping mechanisms when they are adults. They were never able to develop more mature coping mechanisms or learn how to deal with their emotions or situations correctly. This is why everything is a tragedy to some narcissists, everything is an emergency and everything is the worst thing that ever happened. It is also why nothing is a tragedy to other narcissists and nothing seems to matter at all. These particular narcissists learned to cope by not reacting. The differences here are probably based on individual personalities and what worked for them in their lives. The narcissists who overreact as adults were probably able to get what they needed by doing so, whereas the "under-reacting" narcissists were probably not. Let's say there are two different children who are living in abusive situations. Child A may have found that crying and becoming emotional caused the abuser to back off, while Child B may have found that this only made the abuse worse. Over time, Child A would be conditioned to react emotionally and Child B would be conditioned to not react at all. This is just an example, of course, because there are as many different types of situations as there are people in the world, but in general, that is how human behavior works: behavior that has been rewarded will be repeated and behavior that has been punished or even just not rewarded will be abandoned. It is the case with both types of people that their feelings are overwhelming, disproportionate and threatening to them because they have never learned how to experience or deal with them normally. Consequently, their feelings dictate their entire experience. This is their only reality. It is sadly ironic that the very feelings which run their entire lives are experienced as so frightening and alien by narcissists, as if they are coming from some unknown source and cannot be trusted. There is also the biological factor. It may be that some people are predisposed to narcissism for whatever reason. In these cases, abuse or environmental situations would still factor in, but would only be part of it. There is research going on with this now, and maybe they will have an answer for it someday. At any rate, it seems that the earlier and the more abusive the childhood situation is, the worse the narcissism will be in general. Abusing children, neglecting them, invalidating them, ignoring them, spoiling them, abandoning them, enabling them... all of these things can play a role in the development of narcissistic adults. Most narcissistic people, including psychopaths, do have a history of abuse. There is what seems to be a single exception, and that is the relatively rare phenomenon known as "cold children." These children seem to be born psychopathic and seem to have experienced no abuse or abandonment at all. Whereas most children - even children that grow into narcissistic adults - seem to want love from their parents and are destroyed when they don't get it, these so-called "cold children" reject it. Love does not seem important to them and they are not interested in it. They are a mystery, and no one understands why they are the way they are. Perhaps genetics will one day explain them. Or perhaps we will discover abuse in their backgrounds that was unknown at the time. It is not outside of the realm of possibility at all that some people are just "born bad," as they say. They are born bad and they stay bad. They are a mystery to analytical thought and to emotional understanding. There are different levels of narcissism in human behavior. Some are helpful, others are not helpful or even detrimental. The further down the spectrum it goes, the more toxic these traits become, until you end up with someone who has no understanding or feeling for other living things at all. 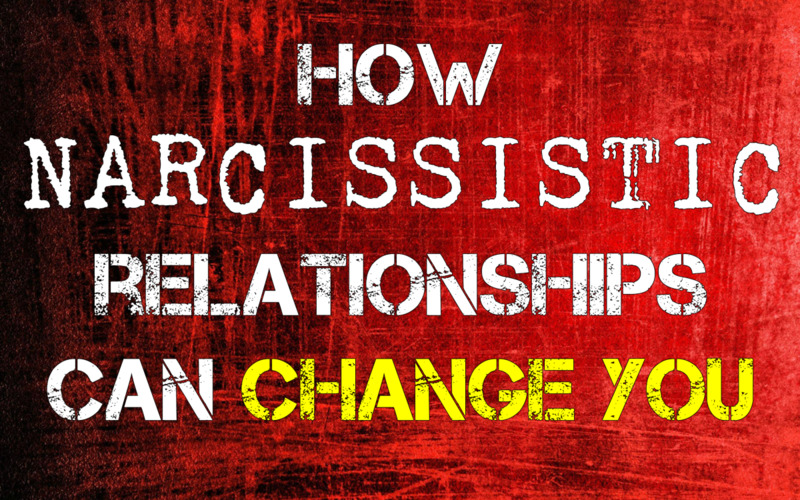 Narcissistic Relationships: Was It Ever Real? Will My Narcissistic Mother Ever Apologize? Actually, borderlines are not narcissists at all, but more like the opposite of narcissists. Narcissists lack empathy, are overly concerned with themselves, and have unhealthily high self esteem. Borderlines have too much empathy, are overly concerned with others, and have unhealthily low self esteem. Plus, not all borderlines are malignant, and for that matter not all narcissists are malignant either. I don't know as much about NPD as I do about BPD, but the thing about BPD is while some borderlines can become malignant because they don't know how to control their overload of emotions, I would say the majority of borderlines are not malignant at all because they would much rather hurt themselves than hurt others. Borderlines are prone to self destruction, not so much the destruction of others.